Disclaimer: I attended the 2012 AIMCAL Metallized and Vacuum Coated Product of the Year competition judging last Thursday strictly as an observer. The packages highlighted here may or may not ultimately be winners. They are simply a few that stood out for me among all the entrants. 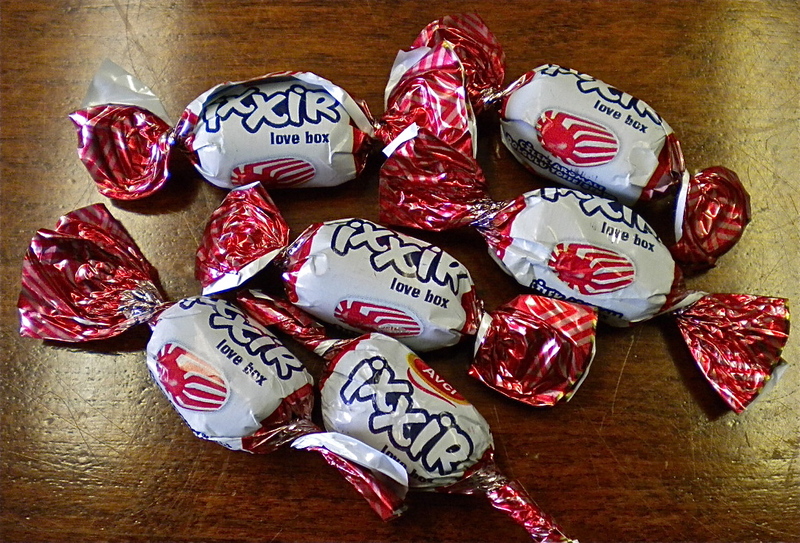 PETWIST BT 1231 MBY biaxially oriented PET film is specially designed to have improved twistability for food and non-food packaging applications, such as these Ixxir Love Box candies. Said to feature excellent machinability for high-speed twist packaging with flow pack and pouch processing, the material is non-heat sealable, one-side metallized, one-side white pigmented, BOPET treated for ink and coating adhesion. Oh, and the candies are pretty good, too. What toothpaste carton doesn’t use a hologram these days? 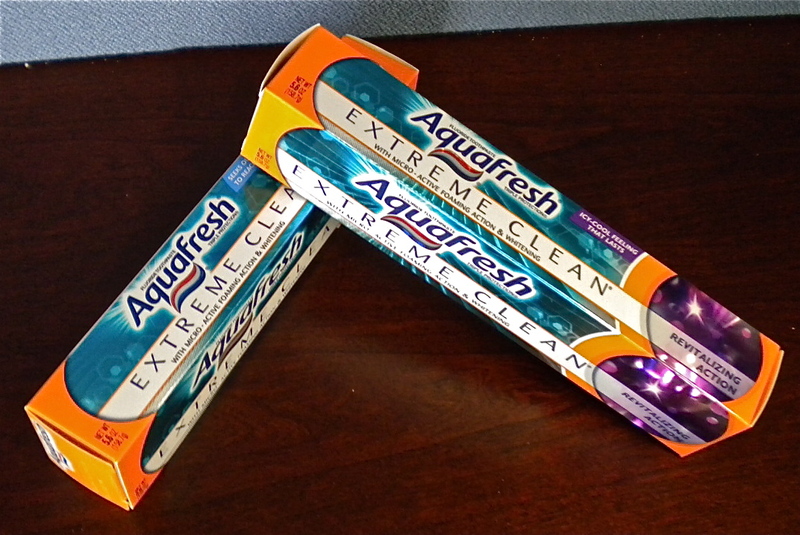 Hmm, I can’t begin to guess, but what struck the judges–and me–was the cool 3D lens on these Aquafresh Extreme Clean toothpaste boxes. The 18-pt SBS cartons are laminated with a 1-mil custom, registered diffraction-effect film rather than the now common, silver metallized or holographic wallpaper. The package’s 3D effect is more pronounced from several feet away from the retail shelf as the consumer walks down the store aisle. 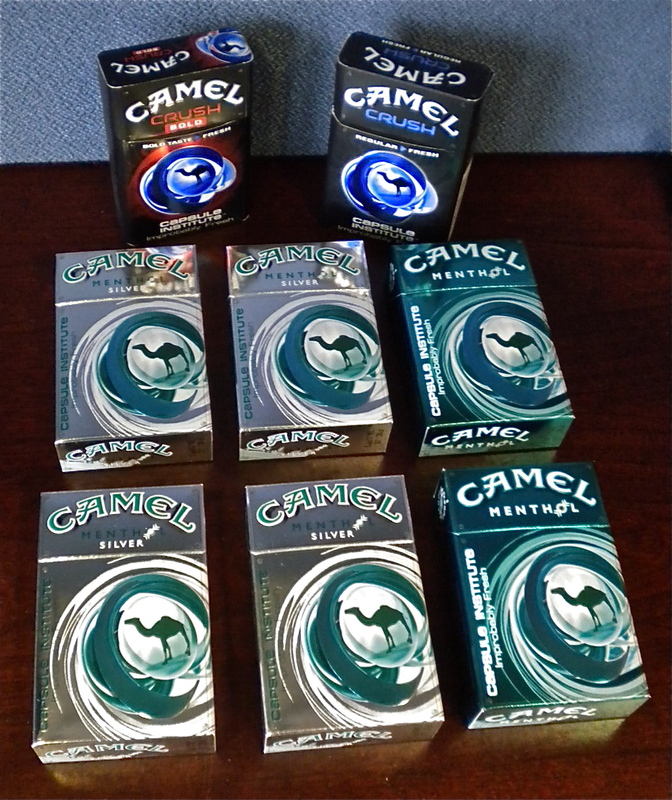 Three varieties of Camel cigarettes come in these flip-top boxes made with 12-pt transfer-metallized SBS paperboard. The non-laminated, film-less material replaces a traditional SBS printed packaging, allowing better gluing and scoring, which are critical to maintaining the high speed of a tobacco packaging line. This entry was posted in coating/laminating, flexible packaging, paper/paperboard/cartons and tagged boxes, cartons, converting, flexible packaging, packaging, paper, paperboard packaging, plastic film. Bookmark the permalink. We’re a flexographic printing company that specialized in high quality, roll to roll printing. We have a customer that’s interested in a multi-layer printing substrate consisting of metalized paper laminated to poly – – a more basic version to the one in your toothpaste article. Would you or your readers happen to know of any NA suppliers?